I can see the impact of our business literacy process on a daily basis. Our employees are now thinking and acting like business partners. Because of the training programs, Money Maps, and reinforcement process, everyone feels a part of the success of the company and is working to improve the numbers every day. We went through a rigorous process to determine the best approach and vendor for our business acumen programs. We chose the Business Literacy Institute because of their expertise in customizing their classes. Our goal was to turn our managers, who were already experts in construction management, into business people. They needed to understand their financial results, our financial goals, and how their decisions impact the local and corporate level. We collaborated with the Business Literacy Institute to develop an initial four-day pilot program. The audience was so enthusiastic, they suggested adding a day! The five-day program has been rolled out to all of our leadership levels, and now we are rolling out a two-day program and a one-day program to the rest of the organization. We are achieving our goals of turning all our employees into business people, and the Business Literacy Institute has been integral to that process. Their program has been a huge success for Granite and for our employees. 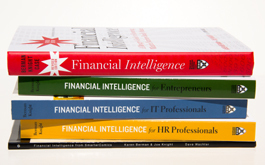 The Business Literacy Institute developed one of our most successful training programs. They integrated our key measures, the basics of financial measurement, and the line of sight concept into a Money Map and training program. Now, there is an increased awareness about how our organization defines success, and individual employees have a better understanding about how they can contribute. The Business Literacy Institute’s program really hit the mark for us. They responded to all our requests for customization of the classes, and their facilitation is a combination of smart and fun. We can’t wait for the next class! 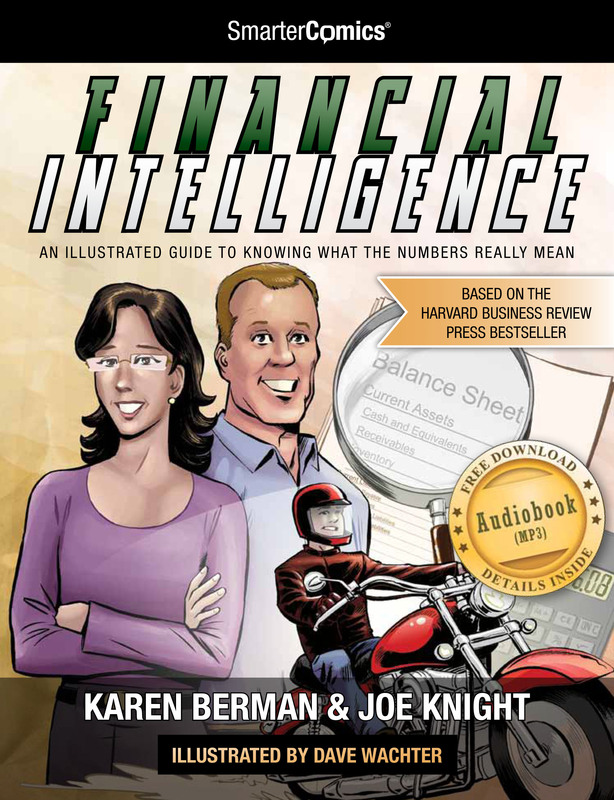 We found the Business Literacy Institute through Karen and Joe’s book, Financial Intelligence. 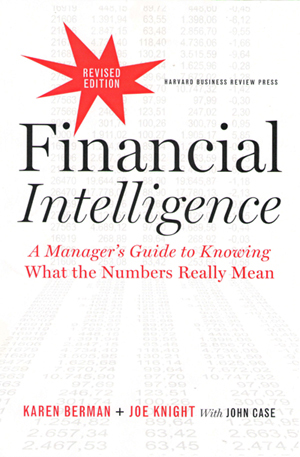 Their approach is to focus on what managers and leaders need to know about finance rather than what accountants and financial professionals need to know. This approach fit our needs perfectly. The Business Literacy Institute is now one of our most popular facilitators for our Management Development program where we train the future leaders of our company. Their smart, yet down-to-earth approach that combines lots of content with storytelling, humor, and interactive exercises and discussions ensures that everyone has an opportunity to learn how we measure financial success in our business. We were looking for a way to teach everyone (employees, managers, directors, etc.) about business and finance. We also wanted to ensure that each individual understood his or her impact on the success of our vaccines and on the company as a whole. The Business Literacy Institute helped us develop training programs and Money Maps to meet our objectives. We’ve used the Maps over and over again in a variety of settings, always successfully. In addition, the Business Literacy Institute will be facilitating the training program: “Finance for Non-Financial Employees” for us on a regular basis. The Business Literacy Institute understood our needs and how to work with us effectively. Their level of professionalism and quality is top-notch. The Business Literacy Institute won the bid to create and deliver a customized executive finance course for our multinational corporation. This five-day course was built around our unique financial beliefs and practices and included a series of challenging, real-life business cases. This course came in on budget, on schedule, and was executed with great professionalism and enthusiasm. Their teaching approach is very down-to-earth, smart and real world. They have now delivered the course four times to all of the senior managers and other high- potential employees in our major business segments. Each time, they were able to customize the course to meet the unique needs of each segment. We will continue to drive this course down to the next management levels of our company. In fact, BLI helped us create a one-day version of this course which we are delivering to every U.S. employee to help them understand the financial drivers of our company, as well as our strategies and corporate philosophy. In addition, BLI developed a train-the-trainer program; we now have twenty employee trainers who are certified to deliver this course to our employees. The reaction from the employees has been universally positive. A lot of training providers say they know how to partner with corporations, but BLI truly “gets it.” They understand that our investment of time, staff, and budget must be utilized respectfully and effectively. They are a pleasure to work with in every regard.